Q. How do I suggest a book for purchase? 2. 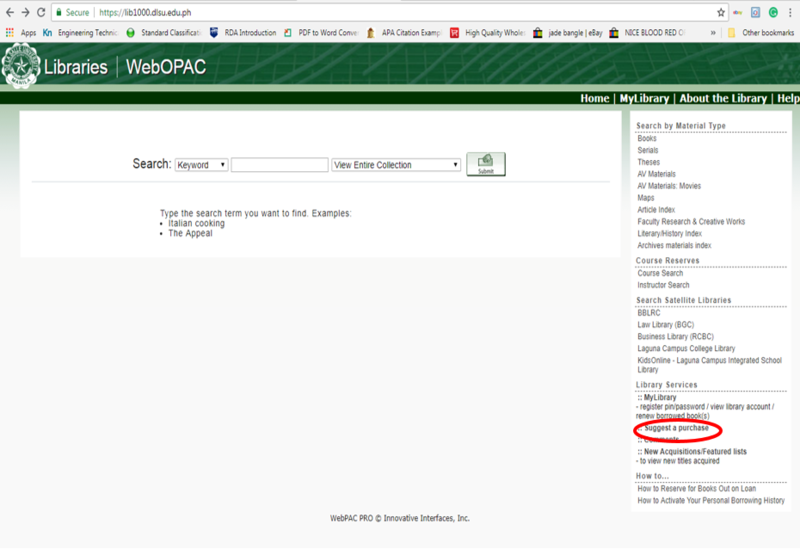 Click the Suggest-a-Purchase link under Library Services. 3. 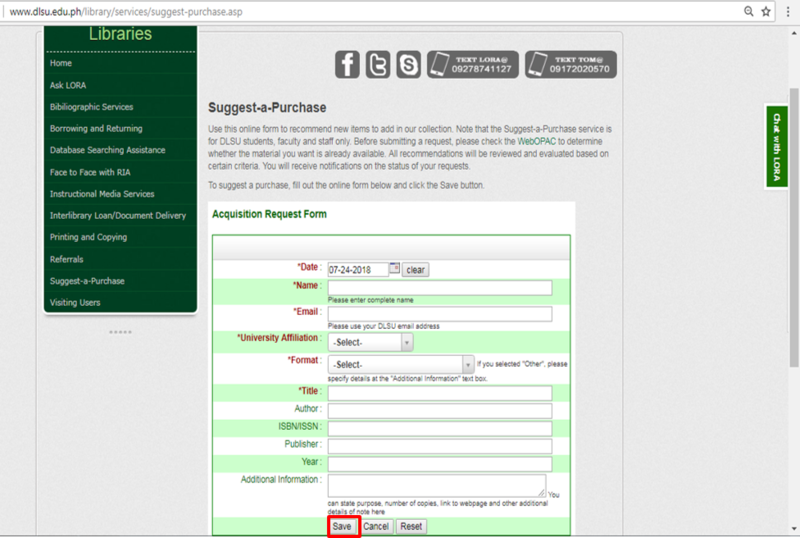 Fill out the Acquisition Request Form. 4. 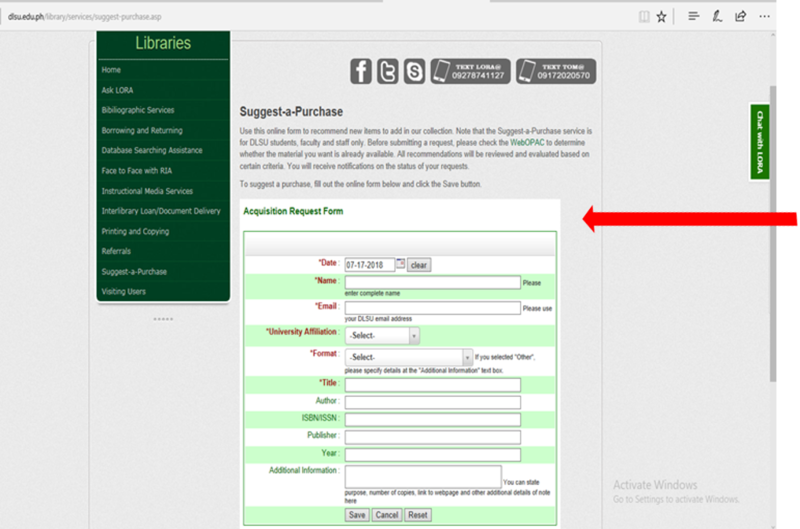 Once completely filled out, click the Save button to submit your request. A request confirmation will be sent to your email.